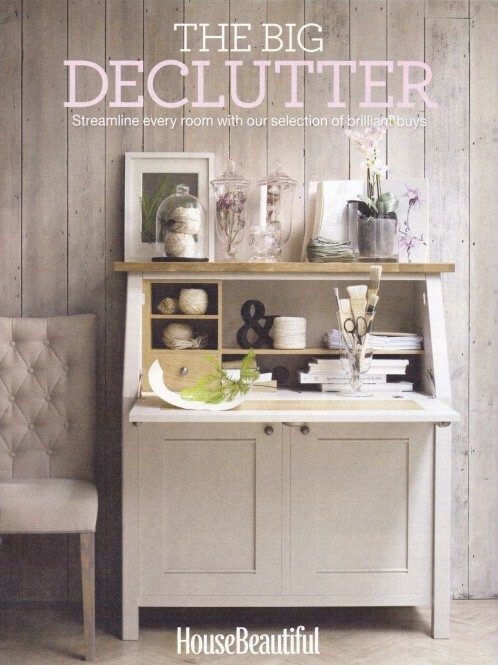 I’m proud to represent the decluttering and organising industry by giving talks, providing 1-2-1 consultations and writing articles for magazines and blogs. 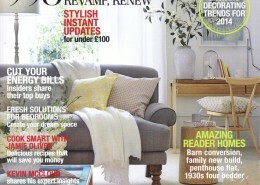 Learn how decluttering and organising can improve your life! 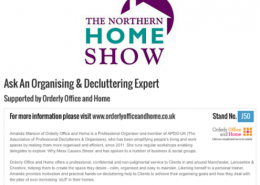 During APDO’s National Organising Week in November 2016 a number of Professional Organisers from around the UK presented short workshops inside Hammonds Furniture stores, helping people to become more organised in their homes. 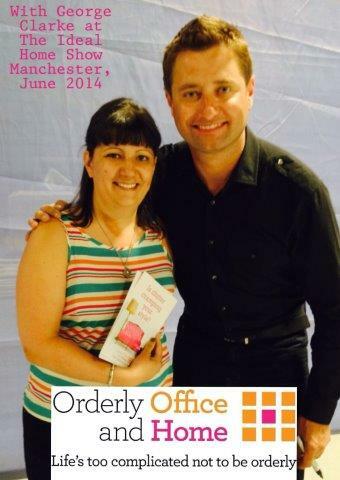 I was lucky enough to have been filmed and you can watch the video here! 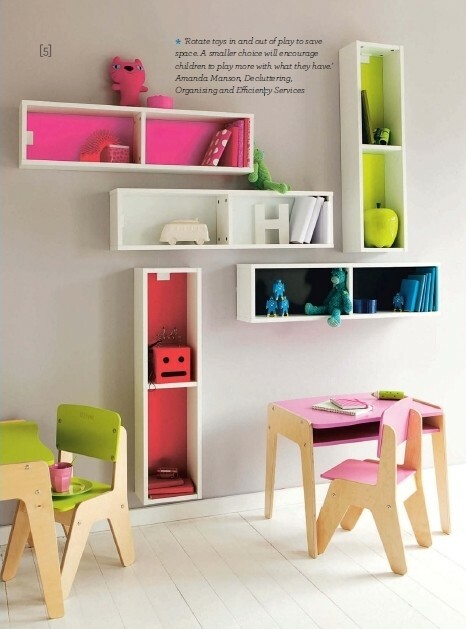 I presented a number of in-store workshops for IKEA UK as part of their #joyofstorage Ideas Festival at their Manchester store on 20th & 21st February 2016. Watch the video below! 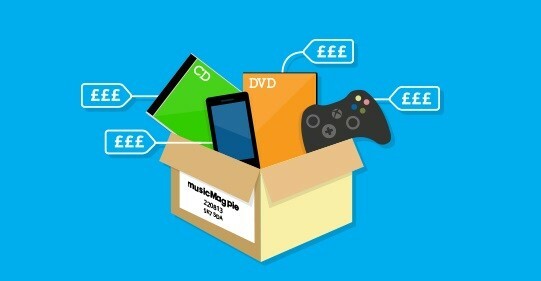 Guest contributor for musicMagpie’s blog; 6 essential decluttering tips in February 2016. 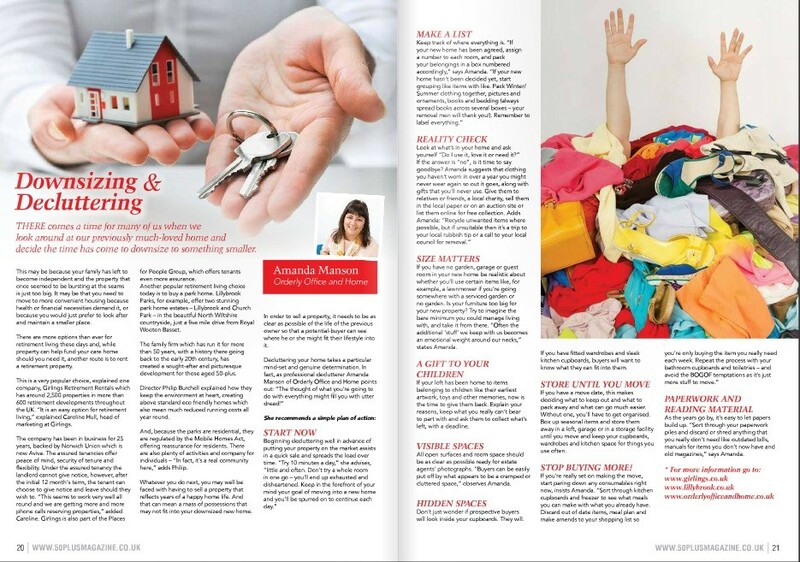 Featured in 50 Plus magazine (Jan-March 2016) for their Downsizing and Decluttering article (p20-21). 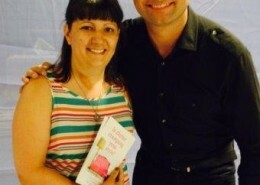 Guest contribution as an expert to Leesa UK’s blog; New Year, New You in December 2015. During the UK’s National Organising Week 2015 (7-13 Nov), I was invited into the studio at Trafford Sound radio with Samera in her Trafford Today programme. 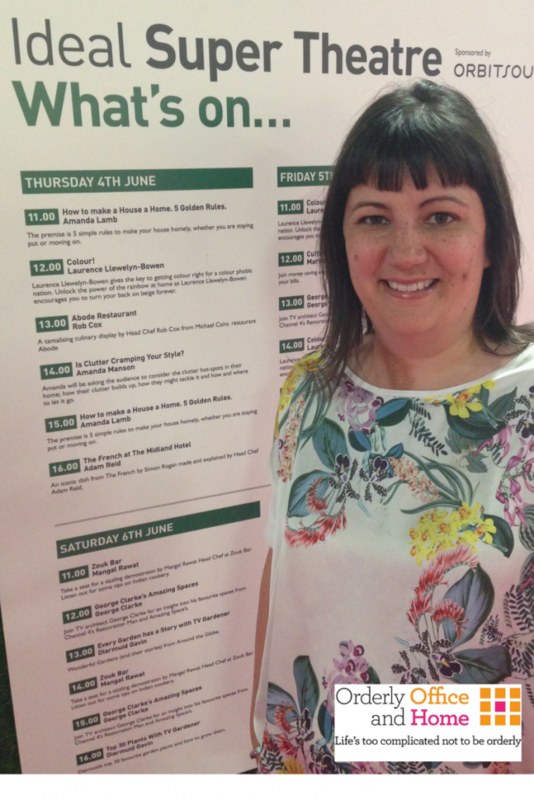 I was back to present and was available for 1-2-1 advice sessions at The Northern Home Show at Manchester Central on Friday 3rd July 2015. 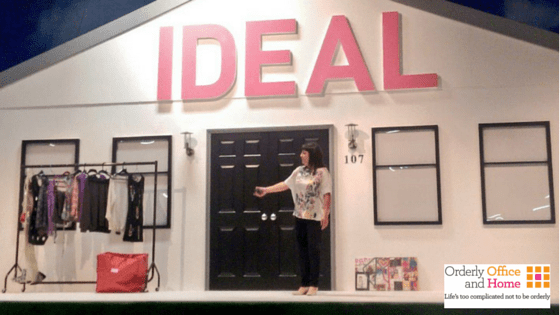 In June 2015 I presented on stage in the Ideal Super Theatre on the opening day of the Manchester Ideal Home Show 2015 at Event City. 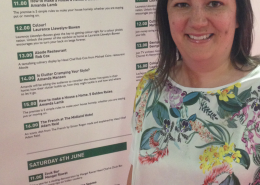 Alongside TV celebs Laurence Llewelyn-Bowen and Amanda Lamb, I gave the audience advice on how to keep your home under control from clutter, and shared some simple tips & tricks to make everyday life run more simply. 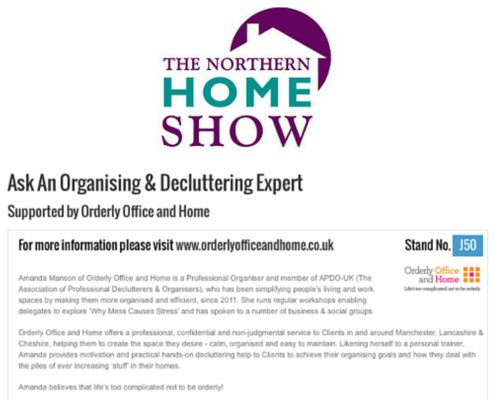 I was at the Northern Home Show at Manchester Central (formerly G-Mex) in July 2014, where I presented a Home Show Seminar; ‘Is Clutter Cramping Your Style?’ on each of the 3 days. I also gave a short interview for BBC Radio Manchester whilst I was there. 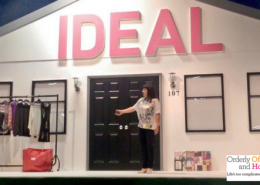 You can read about my time as an expert in the Ideal Advice centre at the June 2014 Manchester Ideal Home Show. 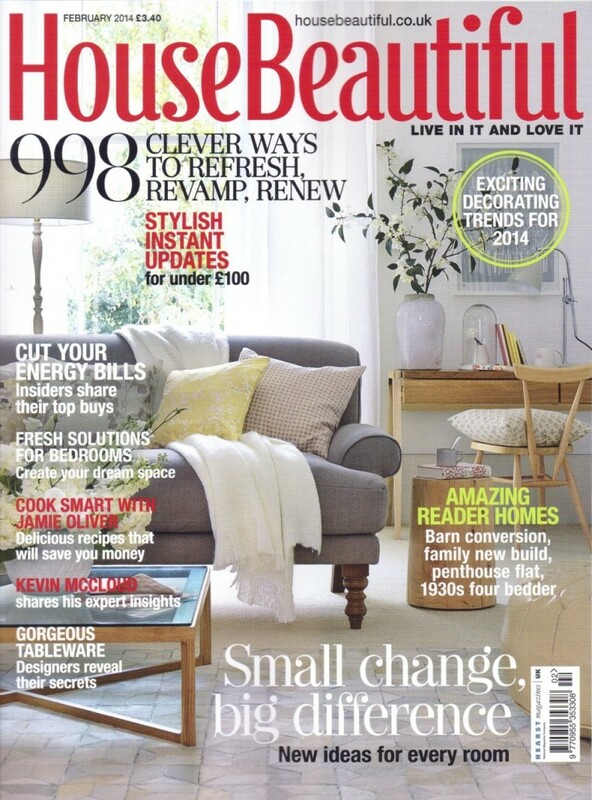 One of my organising tips for children’s bedrooms was featured in House Beautiful‘s February 2014 supplement “The Big Declutter” which you can download here. 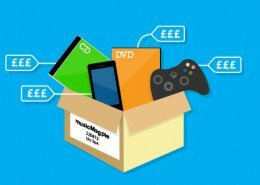 Clutter in your home or office space – and how to manage it! 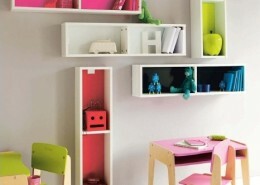 Time management & efficiency at home or at work. 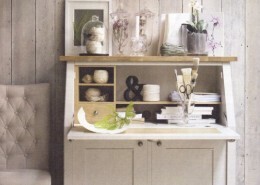 What the role of a Professional Organiser entails. Talks can be tailored to your specific requirements if needed. To book me to talk at your event or local interest group, or for any media enquiries, please call, or send me a message using the form below. I look forward to hearing from you!